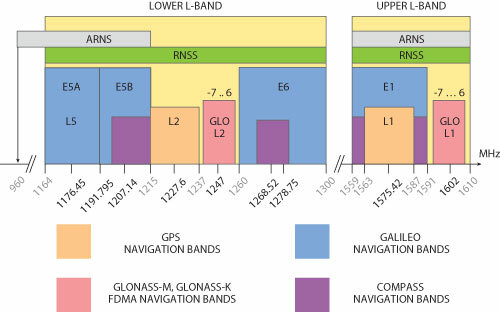 A paper to be discussed at the IARU Region 1 Conference in Varna-Albena, Bulgaria, September 21-27, 2014 highlights the threat to continued amateur radio usage of our 23 cm allocation which is now being used by the Galileo GPS system. The amateur 23 cm allocation includes a key Amateur Satellite Service uplink band at 1260-1270 MHz. Up until now there have only been four Galileo test satellites in orbit which have been used to validate the system. The first two satellites of the operational Galileo GPS constellation were launched on August 22, 2014, they will be followed by further launches over the next 3 years. It is thought both repeaters were running an ERP of just 15 watts, but the ERP figure has not been confirmed. It appears that all 23 cm repeaters in Austria have been shutdown. Few weeks back I spoke with a member of the Italian CC, as our club was going to add a 1296 MHz port to a local repeater. He said Alenia Space has submitted strong warnings regarding possible interference with Galileo and he anticipated it could be hard to get a frequency assigned in that portion of the spectrum in the near future.